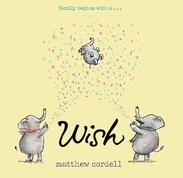 As an elephant couple embark on a life together, thoughts of children are far away-at first. But as the desire for a child grows, so do unexpected challenges. And it's only after thwarted plans and bitter disappointment that their deepest wish miraculously comes true. A funny and tender love letter from a parent to her child. Before YOU came along, so many things were different, but now there's a giggly baby, a house full of adventures and toys, a million little surprises and so much love. By day a red-tailed hawk soars through sky, and by night a barn owl silently swoops through it. 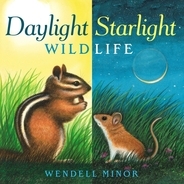 In the daylight a family of fluffy cottontail rabbits hops into a field to forage for food, and under starlight a family of pink-nosed opossums does the same. As day turns to night and night to day, amazing critters large and small come and go. From the instant she sees him at the water hole, Elephant is curious about Giraffe. And while Giraffe doesn't have much to say, Elephant is more than happy to make the first move. But still waters run deep and silent Giraffe seems to have no problem making himself heard. The result is a friend for the ages. 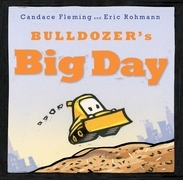 It's Bulldozer's birthday, but around the construction site, it seems like everyone is too busy to remember. They go on scooping, sifting, stirring, filling, and lifting, and little Bulldozer grows more and more glum. But when the whistle blows at the end of the busy day, Bulldozer discovers a construction site surprise especially for him. 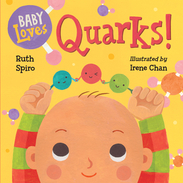 Accurate enough to satisfy an expert, yet simple enough for baby, this book explores the basics of particle physics and chemistry quarks, protons, neutrons, atoms and molecules and ties it all to baby's world. 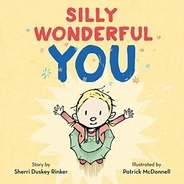 Beautiful, visually stimulating illustrations complement age-appropriate language to encourage baby's sense of wonder. Special thanks goes to Jan Dundon, Cathy Askeland, Kathleen March, Terry McHugh, Leslie Forsman, Patti Tylka, Kim McKenna, and Neal McKenna for their help in writing the book descriptions for the 2017 books.